Jen is the Executive Director of High Country Conservation Center in Summit County, Colorado. Prior to entering the nonprofit sector, Jen worked at Copper Mountain Resort for almost 15 years, gaining experience as an environmental manager and in marketing. She believes that community-scale action has a huge impact on protecting our environment. Jen is passionate about local climate action, energy reduction and zero waste initiatives. Jen graduated from Florida State University with a B.S. in Biology and earned a M.A.S. in Environmental Policy and Management from the University of Denver. In her free time, she loves mountain biking, telemark skiing and spending time with her family. Mona is Executive Director of Aspen-based Community Office for Resource Efficiency (CORE). Prior to joining CORE in 2012, Mona worked at the Colorado Energy Office under Governors Ritter and Hickenlooper. She has worked in the energy efficiency and renewable energy field for more than two decades, all in Colorado, in the non-profit and for-profit sectors. Mona is passionate about the environment, working on climate change and making a positive difference for the planet. Outside of work you can find her outdoors, growing wine grapes, traveling and spending time with family and friends. As the President of Walking Mountains Science Center, Markian is responsible for the overall operations of the school. Markian joined Walking Mountains after 15 years with Outward Bound West where he served as a field instructor, course director and Colorado program director. Throughout his career in outdoor education, Markian has focused on leadership development, effective team building, staff training, and risk management. He received his B.A. in English from the University of Colorado and resides in Eagle with his wife and two daughters. As the Environmental Manager for Eagle County Government, John is implementing the county’s environmental policy and climate action plan within county operations and in the community. In this role, John collaborates with partner counties, municipalities, businesses, non-profit organizations, and utilities toward Eagle County’s common goal to reduce greenhouse gas emissions 80 percent by 2050. Prior to joining Eagle County Government in 2010, John worked for several ski areas and as an environmental consultant to western slope municipalities, resorts, and community businesses. A native of Colorado, John earned his undergraduate degree at Colorado State University and MBA at University of Denver. Dave manages Boulder County’s residential EnergySmart program which serves to make energy efficiency and renewable upgrades easier and more affordable for county residents by offering no-cost personal energy advising, a pool of highly qualified contractors, program incentives and financing, and innovative new solutions. Prior to joining Boulder County’s Sustainability Office, Dave began his tenure at Boulder County in its former weatherization service, Longs Peak Energy Conservation. He earned his B.A. in Environmental Studies from UC-Santa Barbara and his MBA from CU-Denver. A former Steamboat ski patroller, Colorado Outward Bound instructor, and carpenter, Dave now pursues less consistently rigorous forms of engagements but still enjoys turns in snow, scampering on rock, and bending nails. Kevin is Vice President of Lever Capital, a leading national C-PACE capital provider with a mission to help real estate owners optimize their assets and provide a positive impact on profit, people, and the planet. With over a decade of experience in renewable energy, Kevin has helped grow innovative companies in the solar and biomass fields. Formerly serving as Vice President of Sales at Clean Energy Collective, Kevin launched his cleantech career by leveraging the skills and experience gained from his 21-year career as an executive in the capital markets and banking industry. Kevin earned his B.A. in Economics from DePauw University and his MBA from Case Western Reserve University’s Weatherhead School of Management. A resident of Colorado for over 20 years, Kevin loves skiing, hiking, and biking in the mountains with his family. Kevin also serves as Chapter Director of E2, Environmental Entrepreneurs, and has served as a Chair of the Cleantech Open. 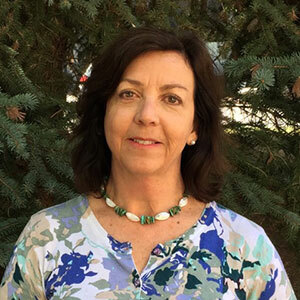 Kasey joined Energy Smart Colorado (ESC) in May 2018. Kasey brought over 25 years of nonprofit leadership, fund-raising, and community relations expertise to her position as Executive Director. Prior to joining ESC, Kasey served as the Director of Development for The Summit Foundation, a community foundation based in Summit County, Colorado for 11 years. In that role, she cultivated more than $3 million in fund-raised revenue annually. A Summit County resident since 1992, Kasey’s previous positions included fund-raising for The Keystone Center and its program division Keystone Science School and as Executive Director of Summit Recycling Project (now High Country Conservation Center, an Energy Smart Colorado partner). Kasey received her B.A. in Mass Communication with Honors from the University of Denver and, through a fellowship provided by The Colorado Trust, she obtained her Masters of Nonprofit Management from Regis University. Kasey is an avid mountain biker and telemark skier and enjoys these sports and traveling with her husband Bradd. Emily supports Energy Smart Colorado part-time as Program Manager. Emily brings over five years experience in non-profit management and energy work. She spent four years with the Denver-based GRID Alternatives developing low-income solar programs throughout the state. In her role as Outreach Manager, she worked directly with homeowners across Colorado learning about their energy needs, energy burden, and pursuing productive ways to tackle those challenges. In 2017, Emily relocated to Durango, CO joining the Four Corners Office for Resource Efficiency as Program Manager where she oversaw several energy-related programs, including solar for lower income seniors in Pagosa Springs, water conservation, CARE Program and launching the Energy Smart program in Southwest Colorado. Her experience with varying perspectives of energy programs allows her to effectively support Energy Smart partners and contracts. When she’s not working with ESC, Emily serves as Business Development Manager for Durango SolarWorks, a solar installation company bringing renewable energy solutions to the community. A Colorado native, Emily has a Bachelor of Science Degree in Business Administration from the University of Colorado in Boulder. She spent a year studying abroad in Seville, Spain learning Spanish and international business. In her spare time, Emily can be found mountain biking, hiking, snowboarding, gardening and enjoying all the outdoor activities Colorado has to offer. Cameron supports Energy Smart Colorado part-time as Training Officer. A BPI certified Building Analyst Professional, Cameron also serves as the Energy Programs Director at Cloud City Conservation Center. Cameron is passionate about energy efficient, healthy and durable homes, and has experience as a home performance contractor, energy auditor and program implementer. Cameron earned a B.A. in Spanish from Amherst College (Massachusetts) and an M.A. in Environmental Leadership from Naropa University (Boulder). Cameron lives in Leadville, Colorado with his wife and two boys. When not at work, he can found skiing, cycling, or building something.